Orlando City FC are yet to take part in the MLS, but they have already been impressed by manager Adrian Heath that they have offered him a new contract until 2017.Heath has been part of Orlando during a successful period in which they have secured many USL PRO titles. The 2015 season will see them get into the MLS, thus providing this part of the United States with yet another MLS franchise.Heath is one of the experienced coaches, especially at foreign level, in the United States. He has coached various English clubs like Sheffield United and Burnley before moving to the United States. After signing a number of high profile players like Kaka over the last few months, Orlando are getting ready for a great reception to the MLS.Heath says that he has given an outline of the plan he is about to execute at the club, which he says is very promising. 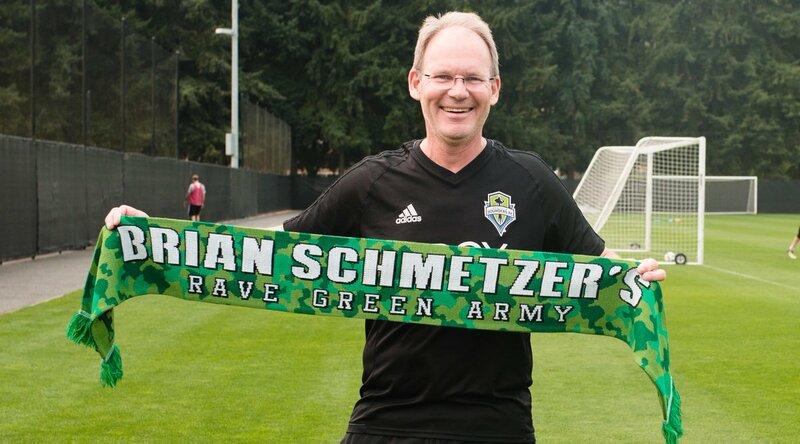 The 53-year-old has guided the club to success in theUSL PRO championship three times since 2011. Their latest came in 2014 while they missed out on the title only once during this period – 2013. He has also been named as the USL PRO Coach of the Year in 2011 and 2012. “Adrian has been an integral part of the Club since day one and has been key to our success both on and off the field. His track record with us has been remarkable, and we believe that Adrian as our head coach will provide us the best chance of being competitive in MLS. We’re delighted that we were able to finalize a deal with Adrian that extends his contract for several more years,” said club president Phil Rawlins. “I’m obviously delighted to be here. When you’ve been here from the very beginning, you don’t want to move somewhere else just as you’re on the brink of going to MLS,” said Heath. David Estrada is fast becoming the best player in the MLS when it comes to scoring goals. He has now scored in his last four MLS season’s, while the season he has four goals from just two matches. The Seattle Sounders were extremely good in the first half against Houston Dynamo. It was enough for them to seal a 2-0 victory over the Houston Dynamos, thus maintaining their perfect start to the season. So far, Houston Dynamo have won just two of the seven matches at the start of the season. Speaking after the match, Seattle sounders manager Sigi Schmid said that he is extremely overjoyed to see the fighting spirit from his team. Houston Dynamo are team best known for their set piece abilities, but they were undone in the match against Seattle Sounders by two set piece goals, which was the most disappointing aspect for them. David Estrada scored the first goal with a wicked deflection, which he later admitted. Speaking after the match, the striker said that he is extremely happy that everything that he hits is now turning to goals, although he has also admitted that hard work pays as much as luck. Seattle Sounders’ second goal was a penalty converted by Brad Evans. “Over the course of the season you’ve got to win games different ways. Today was one of those games where you’ve got to roll up your sleeves and you’ve got to battle and persevere. We scored two timely goals,” Sounders FC coach Sigi Schmid said after the match. Seattle Sounders are currently second in the Western Conference just behind Real Salt Lake. They are the one among the four teams to have won the opening two matches of the season. Houston Dynamo also remain in the second position courtesy of their defeat.